Article was originally posted on the Regnum Christi website. Earlier this year, it looked like a long-time Challenge camp near Chicago might not happen in 2018. But then two young women in Regnum Christi, Maria Vogel and Adele Danner, took up the task of organizing the camp themselves. Maria had attended this camp since its first year, when she was in the fifth grade. She later met Adele at the summer camp when they were both in seventh grade. (The two are now in college.) 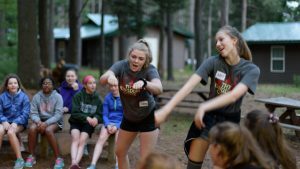 This year, they called the event “Thy Kingdom Come Camp” and focused on a medieval theme that Maria and Adele had developed throughout the year. Night games even included costumes and scavenger hunts. The camp was so well organized that Maria found she had time to walk around and accompany different girls. The months before had been demanding but, during the week itself, she felt relaxed. 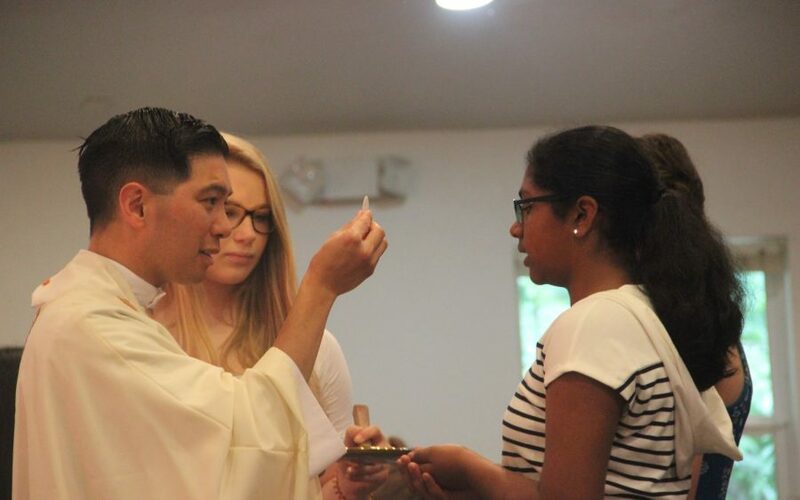 “It’s the ideal camp to go to as a Consecrated,” Maria said, “because you don’t have to do any work. I think it’s pretty unique in that it’s totally lay-run.” Adoration was a special time during the camp, when Maria, sitting at the back, could see many girls praying fervently, journaling and being transformed. She told us about one team leader who was very nervous about speaking. Maria was a little concerned that this young woman should have a good experience – she had always loved coming to camp but had never led before. 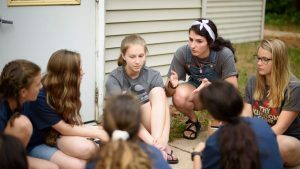 “It was amazing,” Maria said, “to see how, throughout the week, she’d be volunteering to MC the talent show or lead an activity.” Later, the young team leader’s mother cried when Maria told her about her daughter’s transformation during the week of camp. Because this young girl had felt loved and accepted, she overcame her nervousness. Maria is praying that some other young woman will take over next year, as she plans to attend the ordination of her brother, Br Christopher Vogel, LC, in Rome, and then to travel around Europe and attend the Catholic Worldview Fellowship.